4th Year Film "Drunken Day"
Well done to class 4C, who made a film recently in school called ‘A Drunken Day in Skibbereen’. In the film, Nicholas sells drink to Paddy. Mark takes one bottle off Paddy but when Mark tries to take a second bottle off Paddy, he gets angry and hits Mark. Mark falls down the stairs and dies. 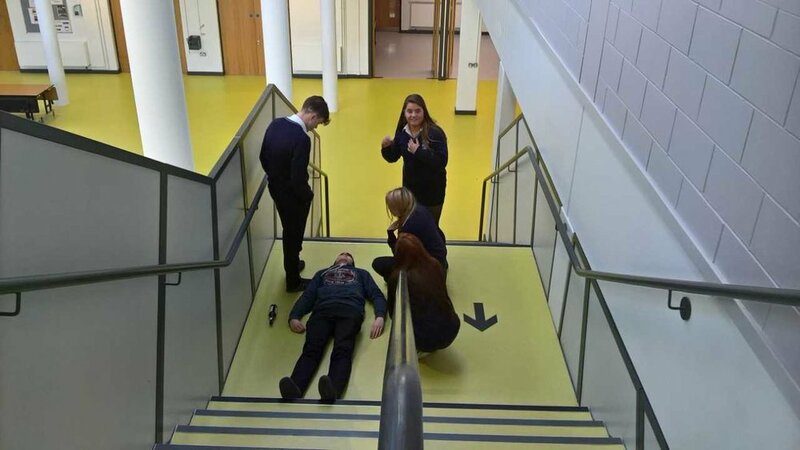 Best of luck to the class as they enter the competition run by drugs.ie, the National Youth Media Awards, where they clearly showed the fatal effects of alcohol on young people. 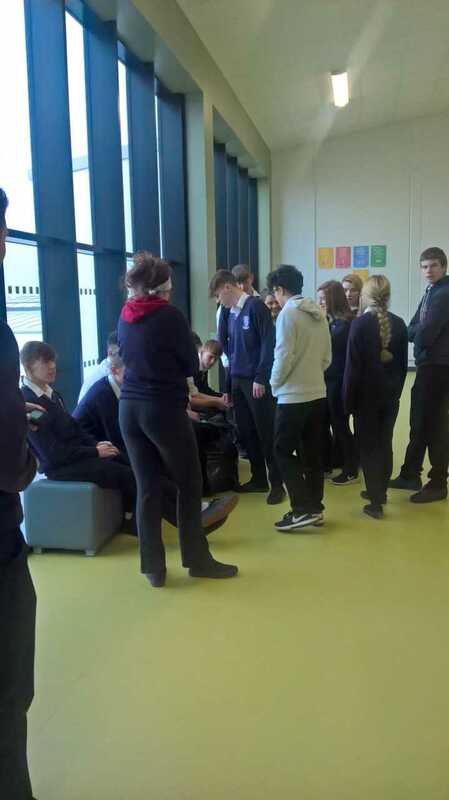 Thank you to; Adam Ladziak for filming it, Jordan Limrick for directing it, Abbie Salter-Townshend assistant director, Mark Cotter, Paddy Kenna, Nicholas O’Donovan, Michael Veale, Dylan Murray, Katelyn Hurley, Poppy Colligan and Nicola O’Reilly for acting. Particular mention to Darren Daly and Shane Cotter who were script writers and Oran Collins who organised the props.